Two years ago, plans for California’s Hydrogen Highway were unveiled by the California Fuel Cell Partnership, a coalition of companies and enterprising individuals that are committed to making hydrogen power a reality. Initially, the group had prospects of opening 46 hydrogen fueling stations by the beginning of 2014. Until recently, the state of fuel cell technology had shown that that deadline may have been too optimistic, prompting the group to shift their estimates to a year later – 2015. 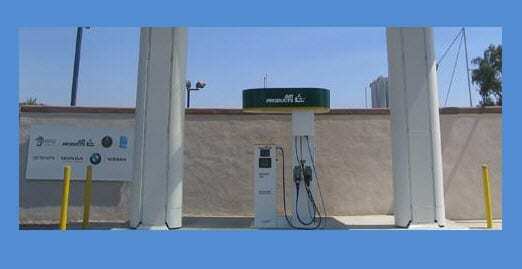 Now, the group, along with the California Energy Commission, will be three new hydrogen stations within the next 18 months. The stations will be located in Laguna Niguel, West Sacramento, and South San Francisco. The opening of these stations will coincide with a number of hydrogen powered vehicles slated to be released for commercial purchase in 2015. The stations will be situated in high traffic areas in order to be of most use to those making use of hydrogen powered vehicles. To receive funding from the CEC, the stations must meet the organizations requirements of hydrogen fuel production. They must produce at least 100kg of hydrogen per day, 33% of which must be produced using renewable energies. The stations must receive the support of several auto manufacturers, something the California Fuel Cell Partnership is currently pursuing. Funding from the CEC will cover 75% of the cost of construction. The CEC is also sending money to the California Division of Measurement Standards to help establish market regulations for the retail of hydrogen fuel.